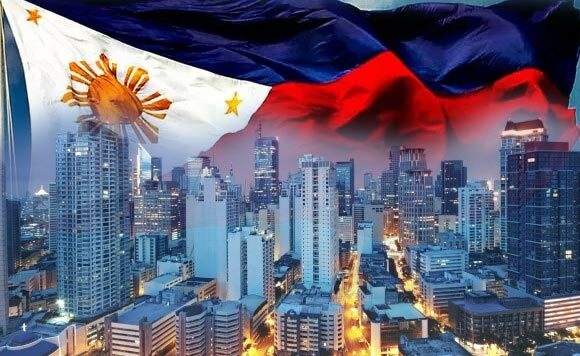 MANILA -- Despite rising inflation, the Philippine economy is improving since the proportion of employed Filipinos also rose in July 2018, Malacañang said Tuesday. “Ang ekonomiya naman, bagama’t meron tayong problema sa inflation, ay talaga naman pong patuloy ang pag-unlad natin (Despite the problem of inflation, our economy continues to improve),” Presidential Spokesperson Harry Roque said in an interview in Unang Hirit. Roque cited data from the Philippine Statistics Authority (PSA) labor force survey, which showed that employment rate improved to 94.6 percent last July. According to the National Economic and Development Authority (NEDA), this is the highest figure in the past 10 years among previous July rounds. The country’s unemployment rate went down to 5.4 percent for July. Generated jobs for the month of July reached 488,000, bringing the country’s total employment to 40.7 million, the NEDA said. Meanwhile, Roque also cited a PSA report on the manufacturing sector, which showed that the of value production index grew by 12.2 percent while the volume of production index also grew 11.8 percent for the month of July. The PSA also said that stable domestic demand and robust investments due to heightened infrastructure projects and consumer spending are seen to sustain the country’s strong performance in manufacturing. “Ang unemployment rate natin pinakamababa. Ang manufacturing rate natin pinakamataas. At patuloy pa rin ang pagtaas ng ating GNP (Our unemployment rate is the lowest, our manufacturing rate is the highest, and our gross national product continues to rise),” Roque said. He pointed out that if there is inflation coupled with rising unemployment, it would mean that there really is a problem in the economy. “Kung ang problema ay may inflation at tumaas ang unemployment, meron talagang problema ang ekonomiya (If the problem is, there’s inflation and unemployment rose, there really is a problem in the economy),” Roque said. “Pero kung ang problema ay inflation, pero bumaba ang unemployment, mas madami ang nagtatrabaho, ibig sabihin niyon, talagang malakas iyong demand na nagiging dahilan para tumaas ang presyo ng mga bilihin. So ibig sabihin, masigla pa rin ang ekonomiya (But if the problem is inflation but unemployment declined, more are working. This means there is a strong demand, which is a reason why prices of commodities are increasing. This means that the economy is still vigorous),” he added. Headline inflation rose to 6.4 percent last August from the previous month’s 5.7 percent, bringing the average to date to 4.8 percent.